The French government is considering setting earlier dates for school spring holidays to allow families more time to go skiing, a controversial move aimed at boosting the revenue of the winter sports industry. Resort operators said they stand to gain a three per cent increase in earnings if the spring holidays start a week earlier. The change is backed by the foreign minister, Laurent Fabius, who also holds the tourism portfolio. President Hollande has also given the idea tentative support. State schools in France start their spring holidays this year on April 11, 18 or 25 depending on their location. French school holiday dates are set by the government but vary from region to region. 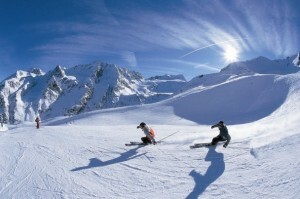 The ski industry has argued that the spring holidays begin too late for families to catch the last good snow of the year but parents’ associations and teachers’ unions have objected to the proposed change.